I had a chance on Monday evening to watch the first day of main camp for the Edmonton Oil Kings. The club played a trio of inter-squad games and a number of players made an impression on me which made the lengthy trek out to Fort Saskatchewan a worthwhile one. 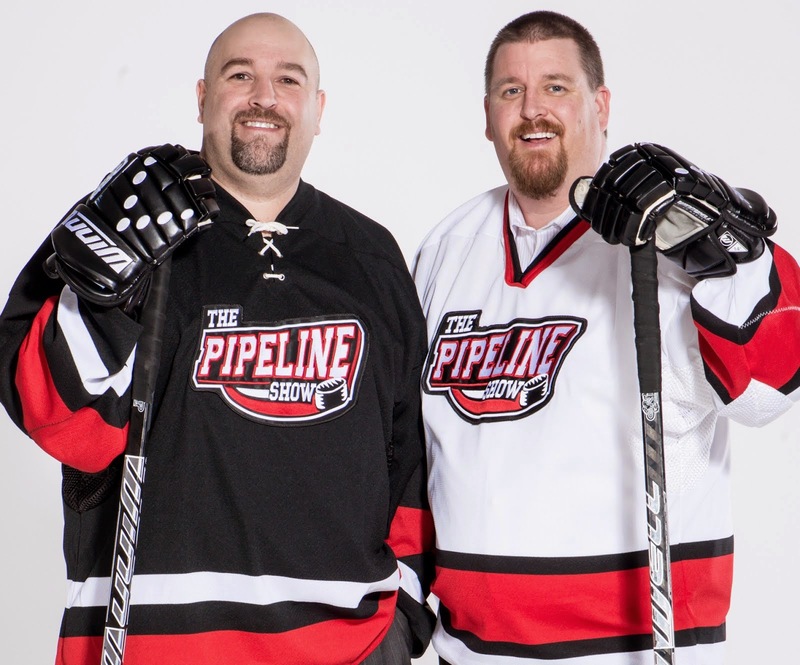 I finally had an opportunity to meet new head coach Derek Laxdal who we previously tried to book as a guest on The Pipeline Show but were unable to thanks to a Northern Saskatchewan fishing trip. Is The 3 Peat Dream Over? 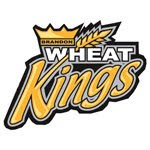 Wheat Kings Find Stand-In for "Chewie"
The Pipeline Show has learned that the Brandon Wheat Kings will soon announce that they have found an interim assistant coach while Dwayne "Chewie" Gylywoychuk recovers from a broken back. 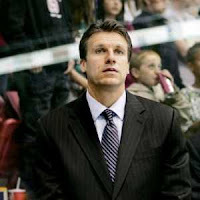 We expect that former Brandon player Mike Vandenberghe will assume the duties of assistant coach for the coming season. Vandenberghe played three and a half years for the Wheat Kings back in the late 1980's and has moved on to the coaching ranks after hanging up his skates. He coach at Notre Dame in Wilcox, SK when Jaden Schwartz was still at the school and last season he was scouting for the Prince George Cougars. Sports Performance Analyzer is a tool that Vandenberghe has helped develop and distribute to coaches at many different levels. For more on that product, visit HERE. Some guys are harder to track down than others and for the last couple of weeks I've been trying to contact Oilers prospect Tyler Pitlick. He was in studio along with Troy Hesketh in July but somehow I'd lost his number and so when I was trying to touch base after the Lake Placid USA U20 camp, I was having a tough time. 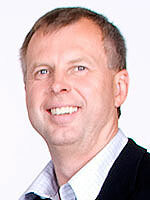 The Oilers didn't have a number for him, Medicine Hat's PR man was on vacation and USA Hockey was keeping quiet. Why? Apparently the NHL isn't the only level that isn't very forthcoming with possible injuries. First it was meetings at the NHL Combine, then it was an invite to prospect camp and now the Calgary Flames are taking Cam Lanigan to the Penticton Young Stars Tournament. The Flames have not officially announced the roster of players that they will take to the pre-season prospect event in B.C. 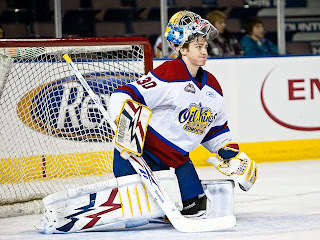 but a source has told me that the Edmonton Oil Kings netminder will be along for the ride. It's happened before so it's not exactly ground breaking but with a couple of NCAA players recently signing contracts to apparently play in the AHL as 19-year-olds, is this the start of a new trend? And more importantly, is it a wise move for NHL teams to make? Just when you thought it couldn't get any worse for Notre Dame hockey fans, today it was announced that the program was losing another key player from their 2010-11 plans. Incoming freshman defenceman Jarred Tinordi has decided to detour from his NCAA path to the London Knights of the OHL. The "luck of the Irish" right now must feel like a Karate Kid crane kick in the junk to Notre Dame head coach Jeff Jackson. The Edmonton Oilers have announced the hiring of Bill Scott for the dual role of AHL General Manager/pro scout ending a rather lengthy period of uncertainty in regards to the position. 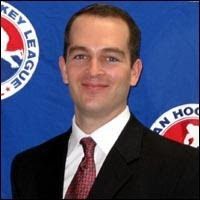 The official press release can be found at the Oilers site, here is the one from the American Hockey League where Scott has been employed for the past for seasons as Director of Hockey Operations. The team also just announced the signing of 35-year-old veteran goalie Martin Gerber to a contract. He'll be the starter in Oklahoma City after his stint in the KHL where he posted a .914 SV% and a 2.19 GAA. Minnesota: The State of Ho-Hum? Minnesota has a few nicknames: The Land of 10,000 Lakes. The Gopher State. The North Star State. The coolest nickname the 32nd State has though is "The State of Hockey". With a NHL franchise, 5 Division I NCAA hockey programs and a rabid high school hockey following, the moniker seems to make a lot of sense. But does history back up Minnesota's claim to the title as "The State of Hockey"? 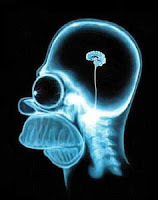 Some sad and shocking news out of Brandon that assistant coach Dwayne Gylywoychuk has suffered a broken back after apparently falling down some stairs at the Keystone Centre yesterday. Our thoughts and prayers go out to his family. I've known Dwayne, or "Chewy" as he was known to his friends, since he played with the Wheat Kings. My family billeted players back then and Dwayne was always friendly to us brats who followed around the hockey players. He was given the nickname "Chewy" I believe by Trevor Kidd, because of the noises he made while sleeping on the bus. Word is he sounded a lot like Chewbacca the Wookie from Star Wars. The Winnipeg product is the leader in games played for the Wheat Kings (323) and has been on the bench since 2003 as an assistant coach. 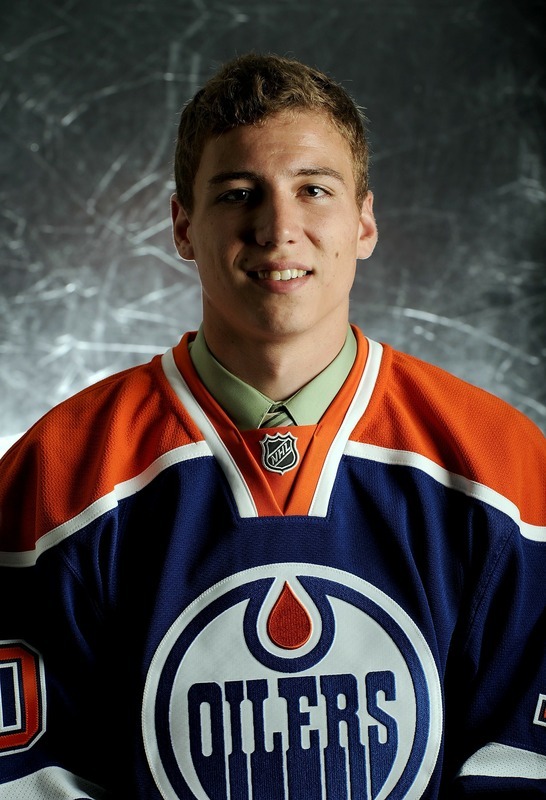 Gylywoychuk is recovering at Brandon General Hospital. Hope to see you up and around at the rink soon Chewy. 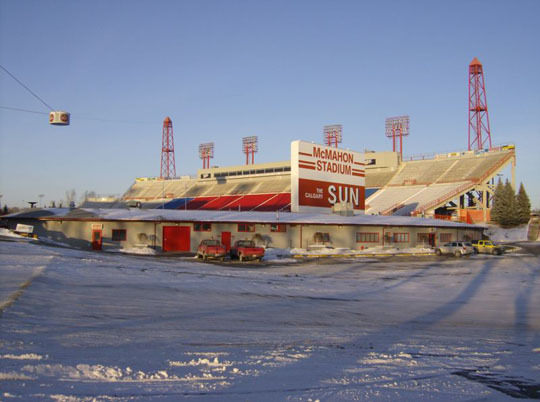 We've talked about an outdoor game in the WHL for a while now, you can read about it here and here. WHL commish Ron Robison told us they tried to have a game during last year's World Junior Championship but it just didn't come together in time. 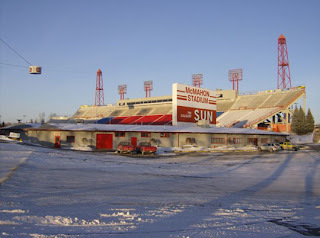 TELUS field in Edmonton has been talked about as a possible site as well, but now it appears that the Hitmen and Regina Pats will hit the great outdoors, in Calgary when the Flames and Montreal do the same in the NHL. More details when they become available. Also, you might have read this (or you might have read it a few hours or days later at another WHL blog) about how Scott Beattie was in the lead to replace Terry Virtue as associate coach in Tri City. Well the Americans have made our prediction come true, and you can read about it here. One last item for now, word is Jim Hiller was not only in contention for an assistant coaching job with Atlanta in the NHL, but was also talking to Norfolk of the AHL. Tri City G.M. Bob Tory, has told someone close to TPS that Hiller is indeed staying with the Americans, but didn't deny that he was up for the job. Our excellent, time-tested and reliable sources told us that. A good journalist never reveals a source, some veterans should know that. The Pipeline Show has learned that the Springfield Falcons will have a new face behind their bench this year as Rob Daum will not reprise his role with the AHL team. The Columbus Blue Jackets have not yet announced who their new bench boss will be as they take over the affiliation with Springfield but we're told that it will not be Daum who held the position for the last season and a half under the Oilers partnership. UPDATE (10:59 AM): The Columbus Blue Jackets have just announced the appointment of Bob Riley to the job. Riley was a longtime coach at Army in the NCAA ranks and has been an area scout for the Blue Jackets for the past 4 years. Hiller Heading To Atlanta? Whelen Not Leaving Calgary For Edmonton. The pull of the NHL hasn't been that strong in the west this off season. Scott Bonner and Don Hay of Vancouver both turned down job offers from the Edmonton Oilers, and it seems another WHL man is staying put instead of joining the Oil organization. With the United States hosting Sweden and Finland right now in Lake Placid, NY and Hockey Canada set to begin their camp in Newfoundland on Wednesday, the Edmonton Oilers are being well represented. 6 key prospects are taking part in the sessions for the respective Nation right now, one has already been cut while others are still waiting to get on the ice this week. Things must be amazing within the Vancouver Giants organization, as for the 3rd time this off season the Giants have been able to hold onto a key part of their hockey operations.